It's up to me, it's up to you. Help this planet earth to stay evergreen, everblue! These words from popular children's songwriter, Raffi, celebrate our earth - our home, and the importance of working together to take care of it. Share this message and make a difference in your school and community this year! This 15-minute revue can be performed in the classroom or on stage. 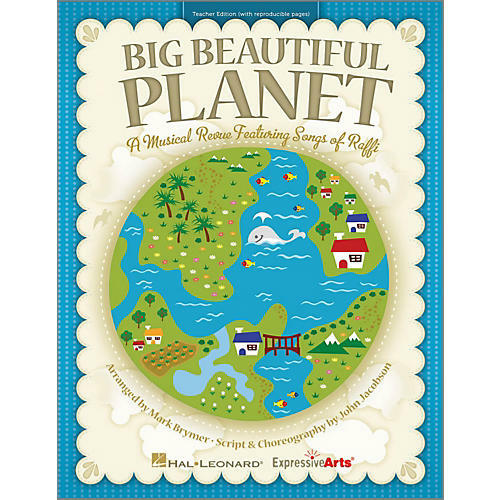 It features five songs by Raffi, piano/vocal arrangements with simple movement suggestions, reproducible singer parts and short connecting narrations you can easily adapt for groups of varying sizes. Available separately: Teacher Edition, Performance/Accompaniment CD, Classroom Kit (Teacher and P/A CD). Approximate Performance Time: 15 minutes. Suggested for grades 2-4.